Shine India Technology & Co.
We undertake turnkey projects in setting up complete Oil Extraction Plant for 32 variants of seeds. This involves processing the seed which either includes cutting it down to smaller pieces or cooking the same and breaking it open. After this, it is processed in the expellers where the oil is extracted from the seed. Seeds 2 Oil Machine : A technology that brings back traditional cold-press process to liberate you from the grip of unhealthy packs. Extracted by pressing black sesame seeds on our wooden churner, cold pressed black sesame oil is pure and one of the healthiest oils. With balanced SFA:MUFA:PUFA ratio and lot of medicinal properties, cold pressed black sesame oil will really boost your health and resistance power. Rapid Oil Extraction, Power Consumption:175 Kw. - Oil contents of top and similar materials in less than 15min. 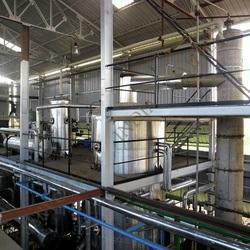 - Ideal for process control in the mill. 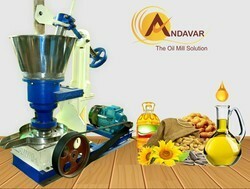 Usage/Application: Peanuts, Sesame seeds, Rapeseed, Coconut, Flax seeds, Sunflower Seeds, Walnuts, Almonds, Khurachni.